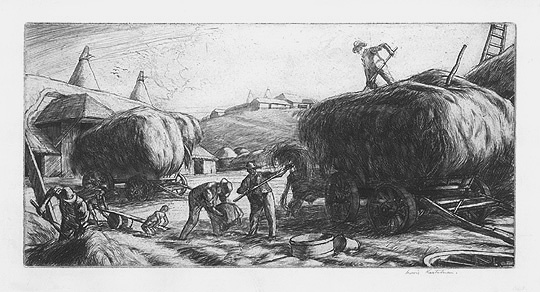 Untitled (Haying)- - c.1920, Etching. Image size 7 1/8 x 14 3/8 inches (182 x 365 mm); sheet size 9 1/4 x 16 7/16 inches (235 x 418 mm). A fine, rich impression, on off-white wove paper, with margins (13/16 to 1 5/16 inches), in excellent condition.